Ming knows you like it simple and efficient in the kitchen. A place for everything and everything in its place. You do your prep work and like to have everything at the ready while you cook. And when you cook, you like fast results. 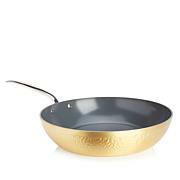 That's what makes Ming's oval grill pan a perfect fit. The Technolon+ ceramic nonstick interior coating provides even cooking and fast results when the family has on their dinner game faces. Another simple, convenient kitchen solution from Ming! 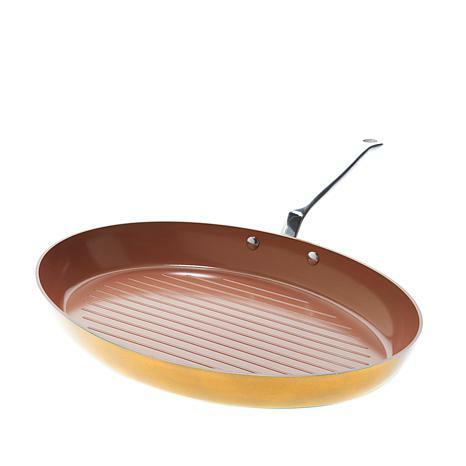 Very good pan for on the stove grilling, i use it a couple times a week, heats evenly, no sticking and easy to clean; good quality. 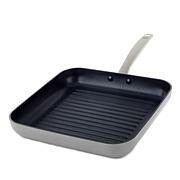 This brand provides durable and good quality pans. 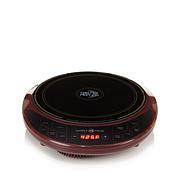 I do recommend it and will continue to buy more items from Simply Ming. Perfect for the man who doesn't like to wash dishes. I used this twice so far, cooked one chicken breast, then last night 3 NY Strip steaks. The meat turned out great, it did not stick. All 3 steaks were cooked evenly.I hand washed it both times, the red is coming off on the bottom, but the inside is ok. The red came off on my square pan as well, even after 1 or 2 uses. Another piece worth the money! I could not possibly be more impressed with these pieces. They live up to the advance press of nothing sticks to it!!! Nothing burns, the pans heat up evenly and quickly. This is the perfect size (and shape) for preparing a whole fish, as well as for any other food choices.I have fried and sauteed with this and no matter what I put in it nothing burns and cleanup is a breeze! Worth every penny! Another great pan from Ming. Great for long pieces of meat and anything else. East to clean. I like all of Ming's cooking pans.